This UK-based co-operative of independent grocers sells its own whisky in the form of Banoch Brae. The own label Scotch whisky offered by UK cornershop chain Nisa is Banoch Brae, a blended Scotch whisky without an age statement that’s bottled at 40% abv. It is selected for Cellars International Ltd., the drinks division of Nisa. Originally standing for Northern Independent Supermarkets Association (Northern was later changed to National), Nisa was founded by Dudley Ramsden and Peter Garvin in 1977, and originally traded out of a meeting room in the Crown Hotel near Doncaster for its first 11 years. Today its headquarters are based in Scunthorpe. Nisa’s retailers can operate under one of four symbol facias: Nisa Local, Nisa Extra, Loco, and Dual Branded. The cooperative of independent grocers operates over 4,000 convenience stores, including all Costcutter brand stores. Banoch Brae was first introduced to Nisa outlets during the 1990s. 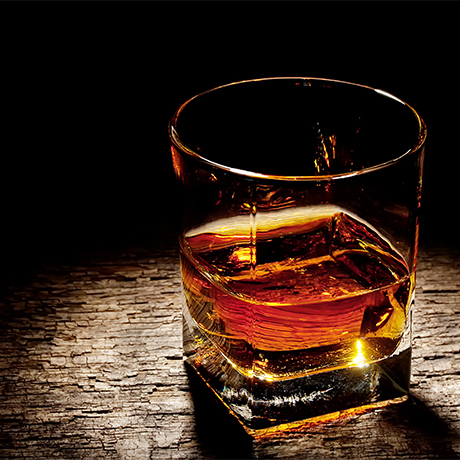 Scottish whisky, English company and an Indian name – this is a truly cosmopolitan brand. Some grain whisky from the lost North of Scotland distillery was bottled under the name ‘Alloa’. Established in 1885 to build North British distillery in opposition to DCL’s grain whisky monopoly. A leading global retailer with its own blended Scotch whisky range.